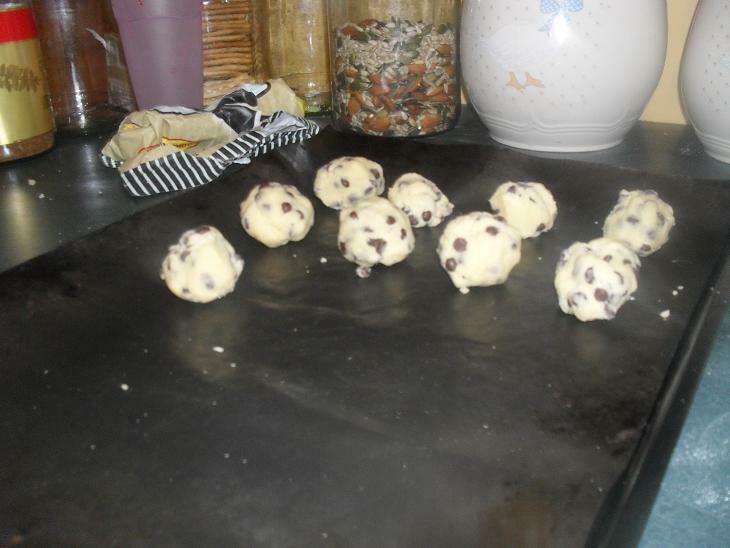 Hi today I made some cookies and this is how to do it. I first got the recipe out of my school cook book. The recipe is called biscuits for a crowd. I had to halve the recipe because it would be too big. First I preheated the oven to 180 degrees and then I got my ingredients. Remember that you can double this and it will make about 80 cookies. So you get 250g of butter, softened, 3/4 cup of sugar. 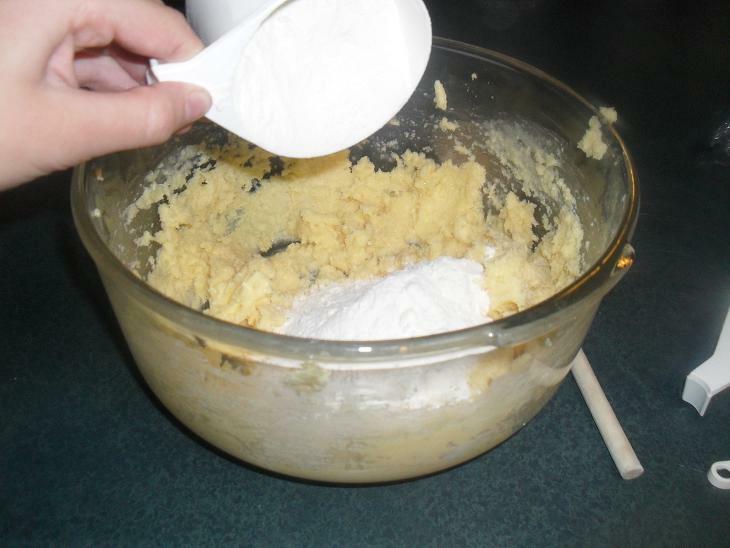 (You can use caster if you like), 2 and a 1/2 cups of self raising flour.It's probably best not to used plain. But then again I've never tried it! 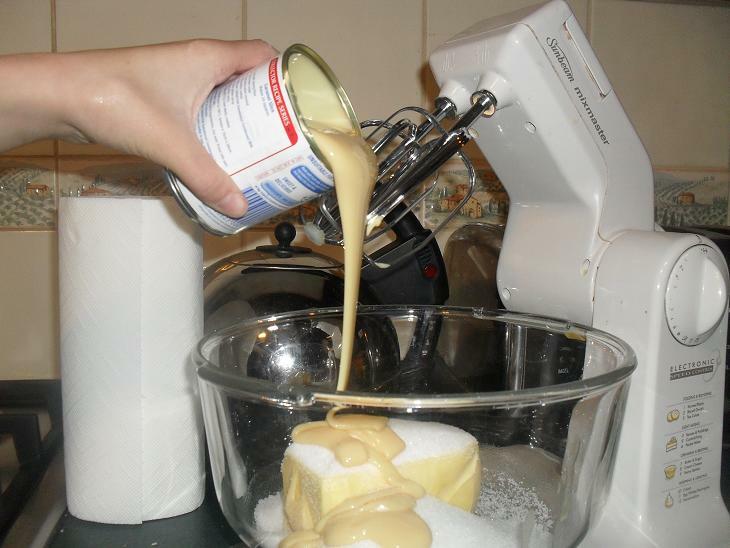 1/2 a tin or 200g of sweetened condensed milk and 375g of milk, white or dark chocolate. I used milk chocolate. 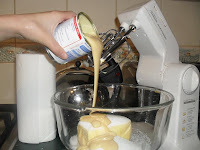 With an electric mixer cream together the sugar, sweetened conde nsed milk and softened butter until it is well mixed. 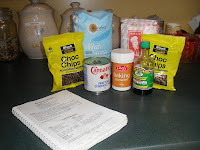 Then get the bowl and sift in the self raising flour and and add choc chips or the cut up chocolate. Mix together with a metal spoon. If it doesn't seem like it's getting mixed in don't add any milk or anything. The first time I made them I added milk and I had one big splatted cookie all over the tray. (It was a bit of a disaster!) This time I made them with-out adding anything and they turned out great. Send a picture to my e-mail of how they turned out. I like your Cookies G!